As the region’s only monthly print magazine for parents, Tidewater Family offers local businesses and health care practices a direct link to parents in the Tidewater area. What sets Tidewater Family apart from other publications is our quality editorial. Our readers read each issue cover to cover, enjoying our articles and perusing our advertising. They appreciate having a resource full of information that’s just for them! When readers spend time reading and enjoying Tidewater Family, they are also spending time looking at your ads. Our readers appreciate our advertisers because they align themselves with and help support a resource that provides important information to help them be the best parents they can be. As an advertiser in TF, you become part of this caring community. Tidewater Family is distributed in hundreds of locations throughout the Southside and the Peninsula—including Wawa convenience stores and Harris Teeter grocery stores—places parents frequent. Our rates are surprisingly affordable. For example, a 1/6-page ad costs only $272.00 (b/w) and $368.00 (color) including camera-ready and pre-pay discounts. And if you choose to advertise regularly, the price drops even more. In addition, we offer an advertorial option called Spotlight, which gives you the chance to tell the story of your business in a 1/3-page ad at a special rate. You receive a 250-word professionally written article along with your photo and contact info in a beautiful color ad for $425 (value $690). Ask your sales rep about this option and the full-page Spotlight option. Themed issues each month ensure that readers who read Tidewater Family are focused on the content as well as the advertising for related goods and services. Plus advertisers whose businesses relate to the issue theme also receive free directory listings in that month’s issue. 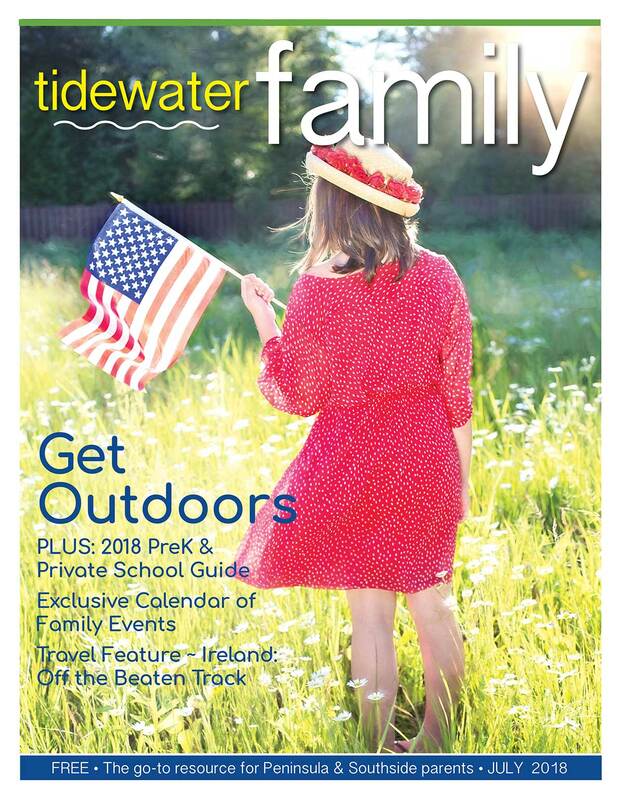 Remember Tidewater Family is the go-to guide for area parents. Online advertising on Tidewater Family’s website is also an affordable way to get the word out about your business to area parents. We offer packages that include both print and online options. Please download our current rate card for more information about advertising in our print magazine and online!